This is the most fun I’ve had creating a blog post to date! I experimented a lot with the camera and my posing. Yes, I laid down on the gravel and the gardeners looked at me a little strangely, but I think the results were well worth it. What do you think? 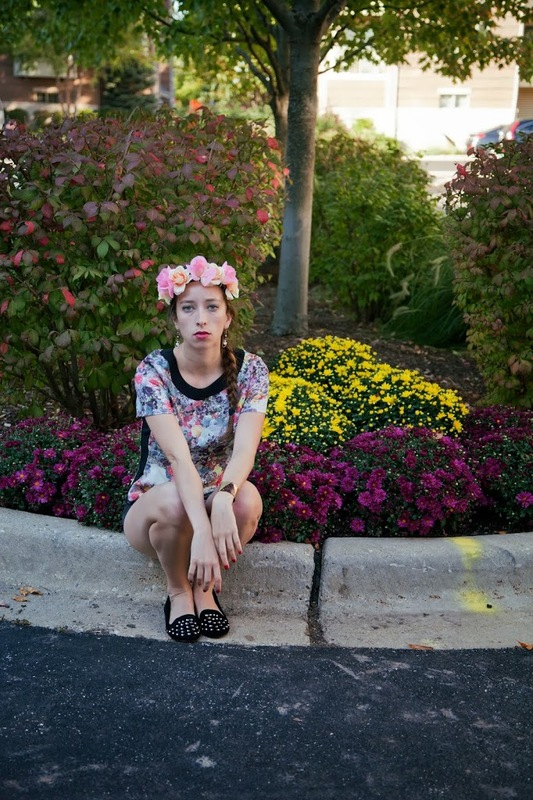 As you may know, floral print is a love of mine, so I matched this shirt from H&M that I found at a thrift store in NYC with a handmade floral headband, shorts from Forever21, and took photos in front of the flowers near the house. This was two weeks ago (I’m a little behind on my posts, apologies), and I am longing for this weather! We are already getting forecasts for snow, which reminds me why I need to get out of the midwest! Next stop Hawaii! Who else is on board?